Indoor Games like carrom, table tennis, etc. When looking for Places to stay in Lonavala, India, no need to go beyond Lonavla Lake View Hotel. We are here in a beautiful surrounding to give you facilities that you desire during your hotel vacation stay. We have a huge team of qualified staff and features that are designed to keep you entertained. Our team makes sure that you get to leverage all our facilities according to your preference. We offer you an air-conditioned room with 24 hours hot water. A warm bath refreshes you for the whole day. A television is provided to make your in-room time entertaining. You get a newspaper and tea/coffee to enjoy the gorgeous lake surroundings in a peaceful manner. Our well-designed garden refreshes your mind and soul. Our team ensures regular maintenance of the garden, which gives you a perfect scenic beauty every time. We offer a calm and relaxing place for you to hear the sound of your soul in the voice of nature. Book Now to get All the Facilities! For a Luxurious stay in Lonavala, we also have various indoor games such as table tennis, carom and much more. 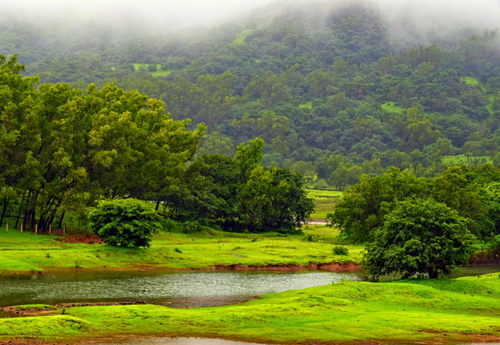 Book and plan a perfect hotel stay in Lonavala.